We’d love your help. 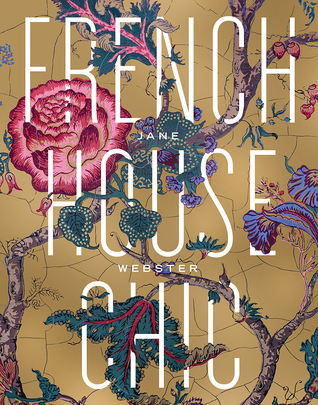 Let us know what’s wrong with this preview of French House Chic by Jane Webster. It is more than twelve years since Jane Webster, the poster girl for selling up and following your dreams, bought Chateau Bosgouet, a derelict chateau in Normandy and moved her young family to France. In those twelve years, Jane has established an internationally renowned business, she has shepherded her children through their school years both in France and in Australia, It is more than twelve years since Jane Webster, the poster girl for selling up and following your dreams, bought Chateau Bosgouet, a derelict chateau in Normandy and moved her young family to France. In those twelve years, Jane has established an internationally renowned business, she has shepherded her children through their school years both in France and in Australia, she has made long- lasting friendships in her adopted home and she has spent countless hours observing French style. To ask other readers questions about French House Chic, please sign up. Absolutely adore the cover of this book and the decorative title pages throughout. Would make a lovely coffee table book. It is written in the first person, almost like a journal / stream of consciousness. I felt like a friend when I was reading some of the captions and personal stories. The book references a lot of design sources for French antiques / flea markets which would be useful for anyone planning a trip to France. This is such a beautiful book full of real photos of real homes. I love Jane's story, her family what they have accomplished with their gorgeous chateau in France. I still feel like theres so much more to find out not just about the house but her village and life.